After his mentor died of a heart attack just three months short of retirement – Raj felt compelled to step up and do something meaningful to challenge conventional ways of thinking. Inspired to seize life for all it’s worth, Raj founded JavaPresse Coffee Company – lifestyle brand on a mission to transform ordinary coffee rituals into extraordinary daily experiences. Since launching in 2015, Raj has helped over 200,000 individuals use coffee as a vehicle to achieve more daily fulfillment. His company has been endorsed by Daymond John of Shark Tank and featured in Inc Magazine, Buzzfeed, Huffington Post, Entrepreneur Magazine, and various other news outlets for his work to date. His company is an official partner of the Make-A-Wish Foundation – Central and South Texas, donating over $38,000 in the last year to help 5 children with life-threatening illnesses experience their dream wishes. 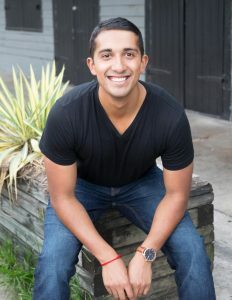 Raj frequently writes for Entrepreneur magazine and hosts the Stay Grounded podcast, a show that helps listeners realize and leverage the tools they already have to experience more fulfillment, success, and happiness in daily life.